Thirteen Corboy & Demetrio attorneys have been selected as Illinois Leading Lawyers. It is the highest number of Leading Lawyers for any Illinois plaintiff personal injury law firm. The attorneys chosen include: David R. Barry, Jr. , Robert J. Bingle, Barry R. Chafetz, Philip H. Corboy, Jr., Michael K. Demetrio, Thomas A. Demetrio, Shawn S. Kasserman, Kenneth T. Lumb, Daniel M. Kotin, Francis Patrick Murphy, Susan J. Schwartz, Rene A. Torrado, Jr. and Edward G. Willer. Tom Demetrio was further honored by being selected as one of the Top 10 of all Illinois Consumer Lawyers; one of the Top 10 of all Illinois personal injury lawyers and one of the Top 10 of all lawyers in all areas of law in Illinois. In addition, three lawyers, Philip Harnett Corboy, Jr., Robert Bingle and Francis Patrick Murphy, were named to the Top 100 Consumer Attorneys in Illinois. 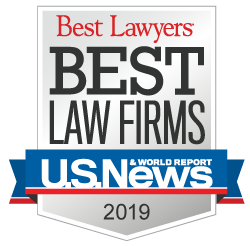 “With over 80,000 lawyers in Illinois, it is an honor and privilege for our firm members to be so highly regarded by our peers,” said name partner Tom Demetrio. To consult with any of the Leading Lawyers at Corboy & Demetrio, call 312.346.3191. We are available 24 hours a day, 7 days a week.